In case you were wondering, yes, collegiate a cappella has a sense of humor. Yes, we do enjoy creating complex and rich chords. And when it comes to soft, moving ballads, oh boy...we can't get enough. But yet still, we've never forgotten the fact that we're young adults who like to party, have a good time, and perform some killer vocal music. Need convincing? 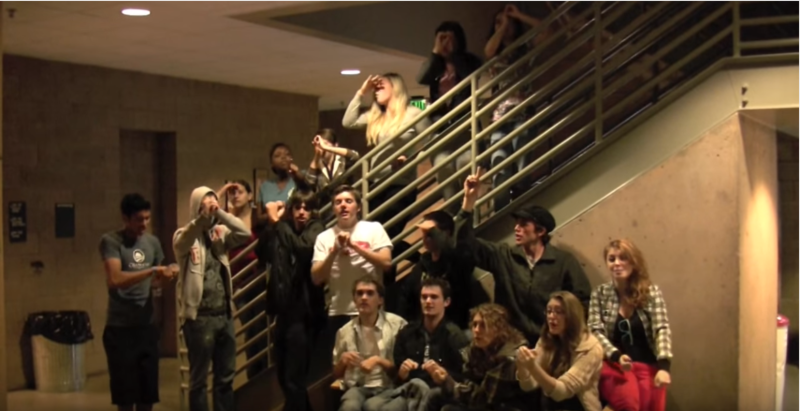 7 years ago, Acquire A Cappella from the University of California released one of the all-time classic videos of one of the biggest songs of the last decade. Yes, we're talking about "I'm On A Boat" by The Lonely Island. If you're not familiar with the original song, shame on you. But for the rest of you, you know that it's a profanity-laced, over the top parody of all rap songs. Who better to make the ultimate cover of this song than a bunch of college kids? And oh man is it glorious. Just see for yourself.